Need a corrective lens for near and distance vision? Wish you could wear contact lenses? You can. In Gaithersburg and Frederick, MD multifocal contact lenses are available at V.Eye.P. In the past, contacts were only available in one prescription strength. They were usually worn to correct nearsightedness, enabling those who needed lenses for distance vision to get by without glasses. But come 40, most people develop presbyopia, requiring reading glasses to see things up-close with clarity. In fact, farsightedness can affect anyone at any age, including people who also have nearsightedness. Bifocals have been around since the days of Benjamin Franklin, but those only provided vision correction with two distinct prescriptions: the upper part for far and the lower part for near. Luckily for us, eyewear has come a long way! 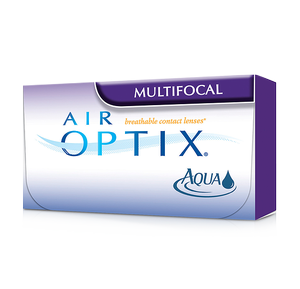 CIBA/Alcon has developed a monthly contact lens that combines the comfort of Air Optix Aqua moisture with multifocal vision correction. Whether you want to see something 20 feet away, 6 inches in front of your face, or anything in between, multifocal contact lenses provide comfortable, clear eyesight. At V.Eye.P. in Frederick, MD contact lens fittings are our specialty. Our optometrists even see hard-to-fit patients, and we would be happy to help you choose the right pair for you. To find out if you are a good candidate for multifocal contacts or to book a comprehensive eye exam, you can request an appointment online or call V.Eye.P. today.